They're back! The new 2017 Limited Edition pro-model boots have arrived, just in time for the approach of Winter! 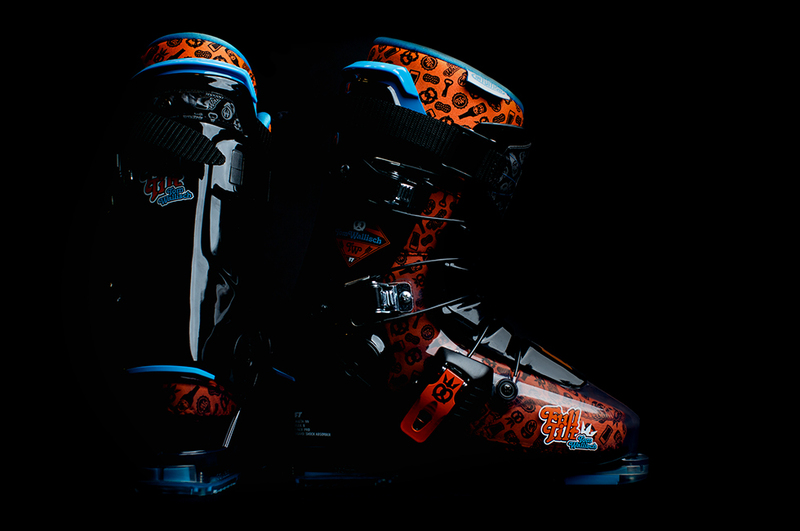 These ski boots have custom graphics and features requested by the pros. Available in limited quantities, you'll only find them here or at these select FT dealers. 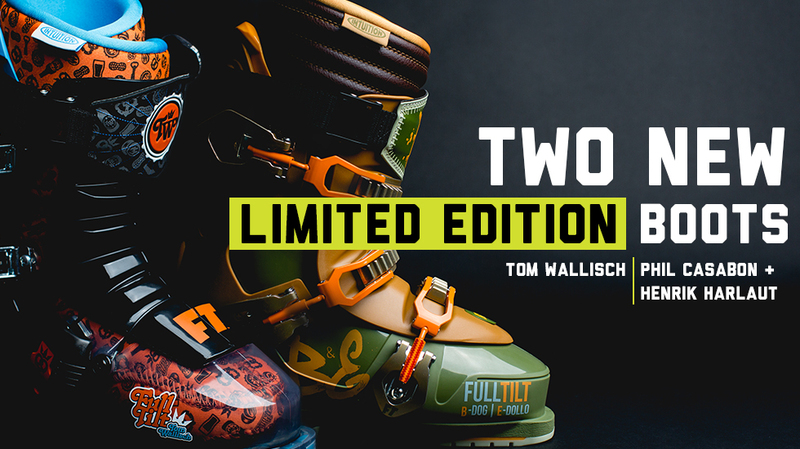 This is the 7th year of the The Tom Wallisch Pro Model Boot and it's 2nd as an exclusive limited edition boot from Full Tilt. 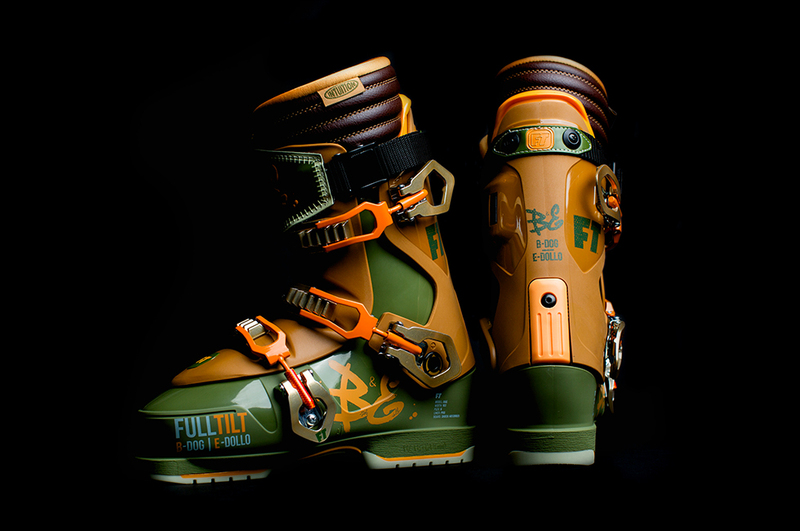 This is the boot built by Tom, for Tom and any skier that demands a boot capable of keeping up with Tom. 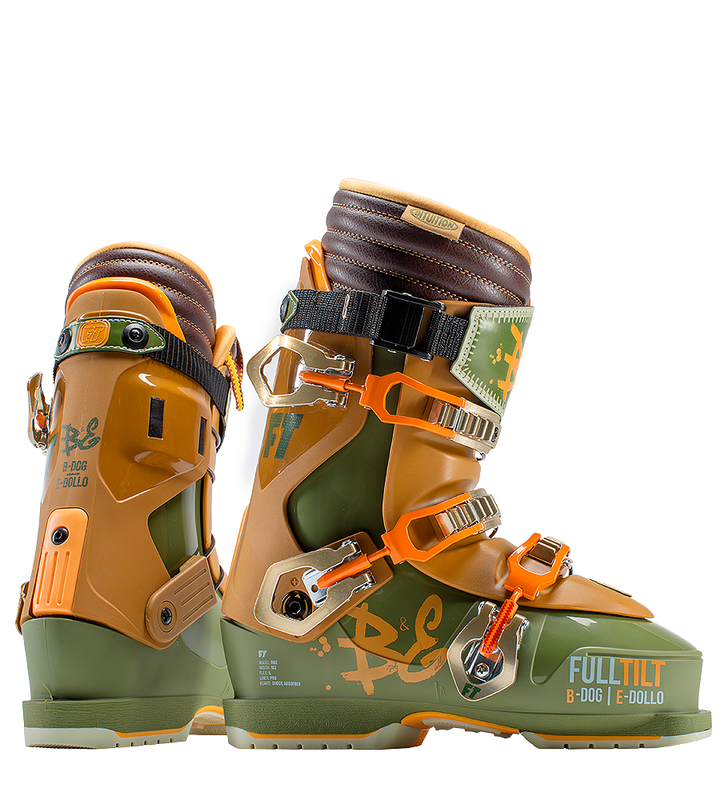 Constructed on the FT Soul Shell, this ski boot features a slightly roomier toe box and rubber soles for added traction while durable aluminum widetrack buckles, cinch powerstrap and pro liner keep to you firmly seated in the boot for any on-hill mayhem. 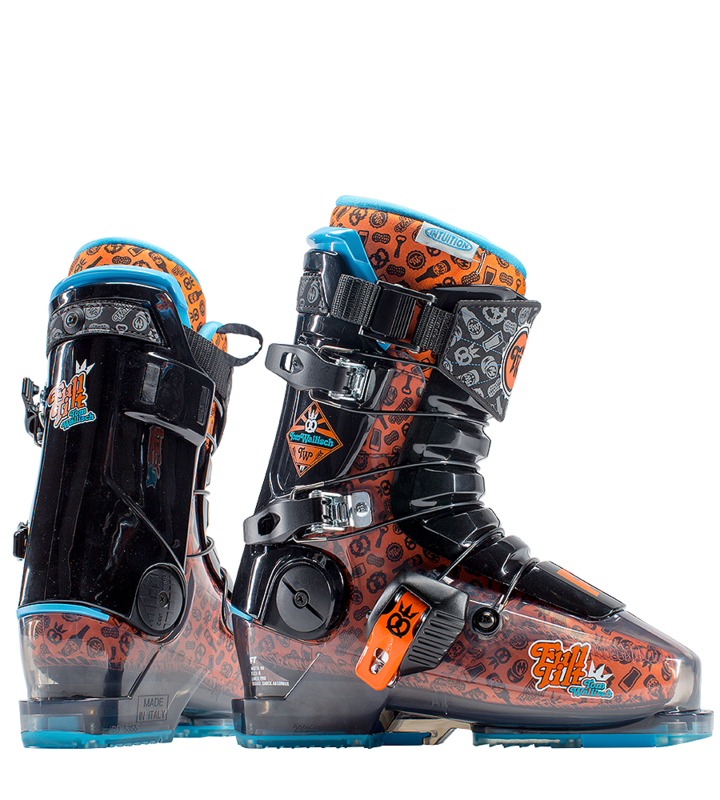 The graphics include blue & burnt orange color palette featuring a clear shell that reveals an all-over-print of the best aprés ski accessories – including pretzels! 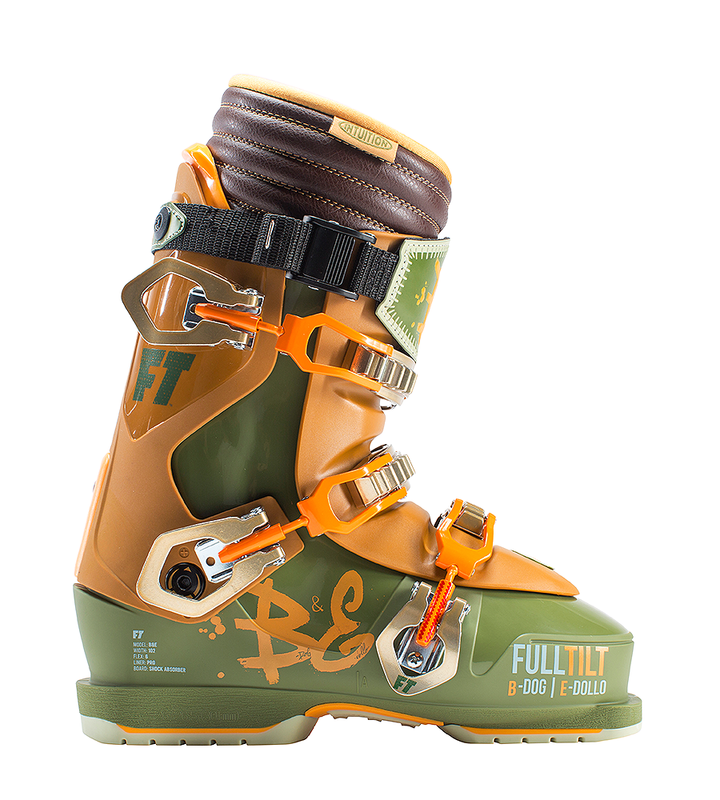 It bears repeating that Phil Casabon and Henrik Harlaut, a.k.a “B-Dog & E-Dollo", continue to be the most creatively unique duo in skiing today and, as always, need a boot that represents exactly what they’re skiing is about – progressive tricks and style on end. Returning for its second season in the Evolution Shell, the B&E Pro perfect for those freestyle skis who demand a wider foot print. 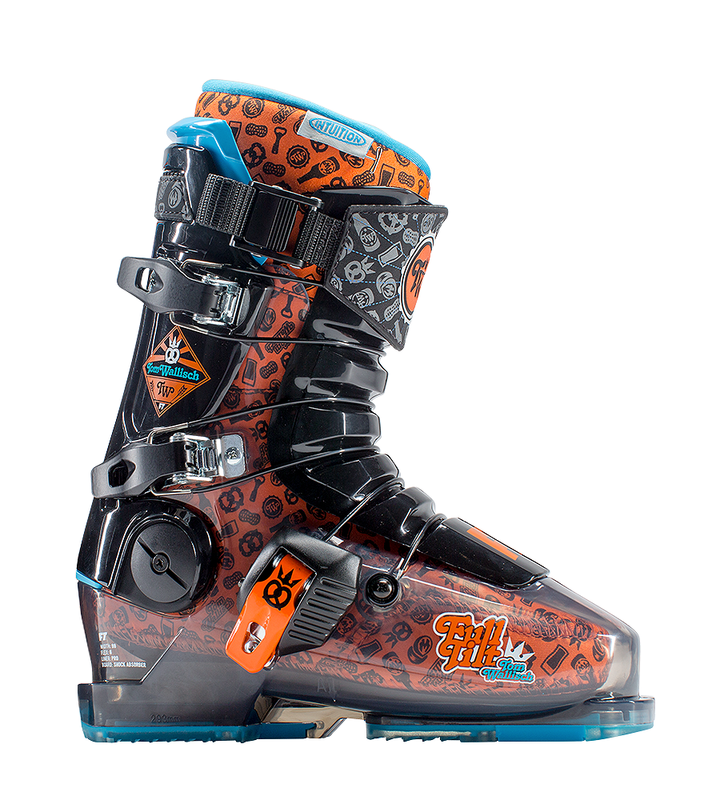 Featuring a 102mm last, this boot from Henrik and Phil is a comfortable, wider option for those skiers who haven’t always found the narrower 99mm shells a match. This new wider boot is a perfect fit for park & beyond.